Go to the Skynet Database and select Human Central Archive: John Connor. When the normal feature on that characters starts, press your Right button once, then press "up" once. When you press your Up button, you will see the video in the top right corner being highlighted in a red border. Press play, then a short behind the scenes feature will play. Go to the Skynet Database and select Human Central Archive: Kate Brewster. When the normal feature on that characters starts, press your Right button once, then press "up" once. When you press your Up button, you will see the video in the top right corner being highlighted in a red border. Press play, then a short behind the scenes feature will play. Go to the Skynet Database and select Human Central Archive: General Robert Brewster. When the normal feature on that characters starts, press your Right button once, then press "up" once. When you press your Up button, you will see the video in the top right corner being highlighted in a red border. Press play, then a short behind the scenes feature will play. Go to the Skynet Database and select Artificial Intelligence Interface: Series 850-Model 101: Infiltration Unit. When the normal feature on that characters starts, press your Right button once, then press "up" once. When you press your Up button, you will see the video in the top right corner being highlighted in a red border. Press play, then a short behind the scenes feature will play. 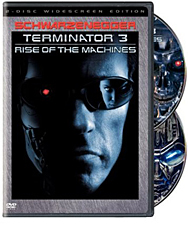 Go to the Skynet Database and select Artificial Intelligence Interface: TS "Terminator". When the normal feature on that characters starts, press your Right button once, then press "up" once. When you press your Up button, you will see the video in the top right corner being highlighted in a red border. Press play, then a short behind the scenes feature will play. Go to the Skynet Database and select Artificial Intelligence Interface: Aireal and Ground Assault Vehicles. When the normal feature on that characters starts, press your Right button once, then press "up" once. When you press your Up button, you will see the video in the top right corner being highlighted in a red border. Press play, then a short behind the scenes feature will play. Go to the Skynet Database and select Artificial Intelligence Interface: Hunter Killer Units. When the normal feature on that characters starts, press your Right button once, then press "up" once. When you press your Up button, you will see the video in the top right corner being highlighted in a red border. Press play, then a short behind the scenes feature will play.